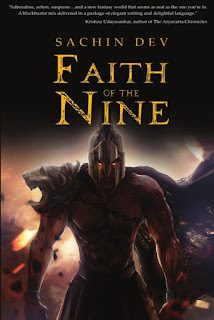 Here is a guest post from the author of the book 'Faith of the nine' - Sachin Dev. Do you love fantasy? Read about different types of fantasy and famous books on these categories. The Third Yuga is slowly drawing to a close. Nam – the greatest Empire on Janani – is going to face some fierce winds of change. Seers foresee omens of death and destruction in the return of the Banished One – A God who will claim the ashes of this world as revenge. While out in the streets, rumours abound - of older forgotten powers stirring. Caught in this maelstrom of a power struggle between Gods are three ordinary lives: General Fateh, the most celebrated soldier in Nam who starts to question his faith, Ishan – a gifted orphan who struggles to comprehend his destiny and Abhaya – a young monk in search of truths about this world. Their choices and actions will shape the destiny of this scarred world that becomes the playground for vindictive Gods. In a world where Rakshasas arise out of left-over traces of Maaya and twilight forms the portal to countless worlds around us for Daityas and Yakshis to dance through, a God is only as powerful as those who believe.And when Gods rise, faith of men will be tested…And broken. Because for most of us ( especially more so in a country like India) we are wary of being found reading a book whose cover looks like Chandrakanta the old Doordarshan series we used to watch as kids. So we still get by with the Harry Potter series and sometimes don’t think much beyond. a different world and I was loving it. boy setting out to find his destiny (which involved throwing a beautiful ring into the volcanic fires of Mordor!) I will also try and slot them into different sub genres as I know them. Makes it easier for recommending, right? Magic that will leave you spell bound. Political manoeuvrings. Tricky backstabbing. Adventure. Kingdoms or worlds at stake. All this and more! Trilogy & the on-going Stormlight Archives by Brandon Sanderson. The on-going series is a massive ten part magnum opus and it reflects all things great and fun about the genre. Cannot recommend enough of this guy. He is prolific when it comes to writing. Churning out at least 1-2 books every year. Year after year. Promise of Blood ( Powder Mage trilogy # 1) by Brian McClellan. Sometimes called Flintlock fantasy This guy is setting the fire to the keg with this explosive debut novel in this series that deserves to be read more. Gentlemen Bastards series by Scott Lynch – Chronicling the life and adventures of a thief and petty crook, Lock Lamora and his friends, this is also one stunning piece of work that any lover of mayhem and adventure should definitely be getting his hands on. Lies of Lock Lamora sets up the rollicking pace of this series and it’s on book-3 now – with the rest of the books eagerly awaited. You should jump onto this ship. This is modern fantasy with a lot of writers jumping into bandwagon. Brutal, gritty, splashed with blood and gore – and darker themes explored. Any book by Joe Abercrombie. This guy is truly the emperor of this sub-genre with his brilliant books setting out to explore darker spaces within a man’s mind. Broken Empire by Mark Lawrence. Be warned, this books may be a bit too intense but are shining example of what a writer can do to twist the readers into his dark worlds. It features a 11-year old sociopath who sets out to conquer the world. Prince of Nothing trilogy by R Scott Bakker. If you like your fantasy philosophical, dark and heavy this is your one stop. His second trilogy is incomplete and eagerly awaited. Ahmed, The Grace of Kings by Ken Liu. keep exploring beyond the walls and gates of Hogwarts. 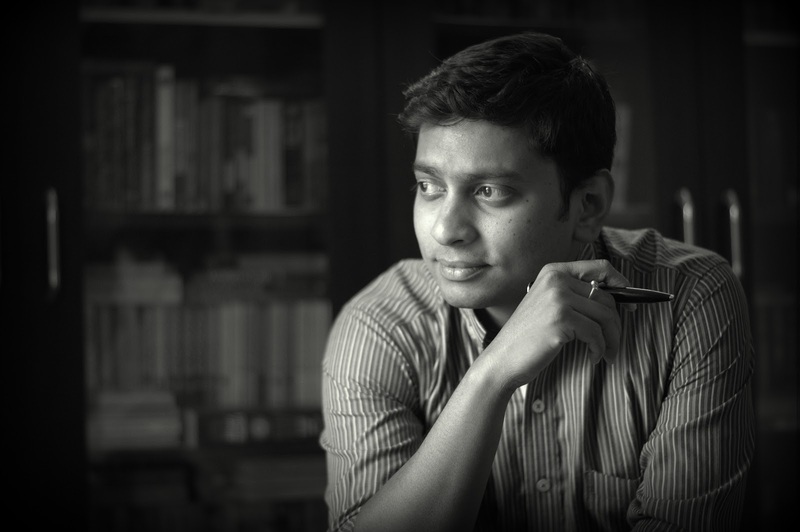 Sachin discovered Tolkien in his teens, alternative rock as a new adult and digital marketing in pretty much his late twenties. These still form a large wedge in his circle of life. Travel, radio and theatre have also figured in that ever-expanding and diminishing circle. On perhaps a more prosaic note, he is an engineer from BITS Pilani and holds an MBA from Indian School of Business. Attribute the love for numbers and pie-charts to this. He is currently based in Bangalore and happily married to Harini. He spends an inordinately large amount of time chasing after his two dogs (who love the free life a bit too much) when he is not busy dreaming up fantasy worlds full of monsters. And beautiful Yakshis, of course.